We had a special guest for Christmas (and beyond) as I'm dog-sitting for my aunt for the next few weeks. 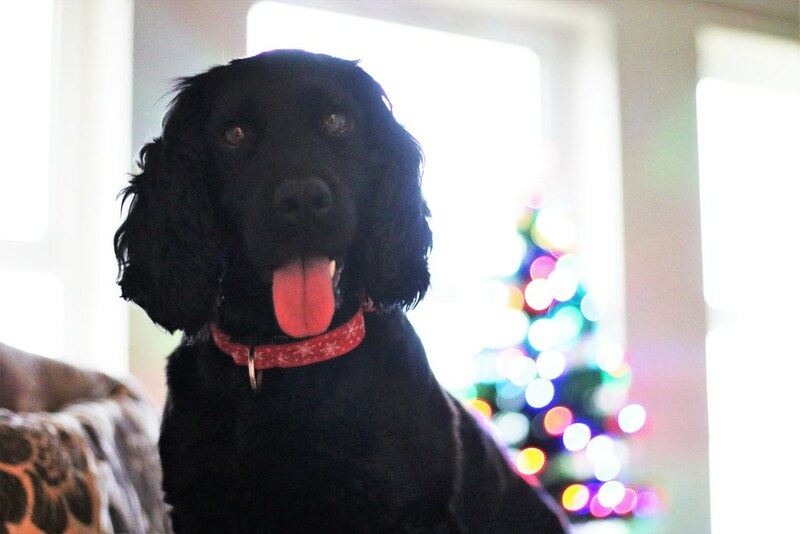 She borrowed Pip's Christmas snowflake collar to be extra festive! Holly is adorable. What fun to have such a house guest! Hope you had a good Christmas- and Happy New Year! Love your header photo.